Speculation about the former Foreign Secretary’s leadership ambitions has raged over the summer ever since his resignation from the Cabinet in July in protest at Theresa May’s Brexit plan. And some Tory sources alleged news of his split from wife Marina Wheeler was deliberately leaked to prevent a scandal emerging during a future party leadership contest. But the claims enraged MPs close to Mr Johnson, with one suggesting allies of Theresa May were attempting to smear him. One friend said: “It is complete nonsense to suggest that Boris was in any way responsible for this stuff becoming public. “It is outrageous to suggest that Boris would use his own daughter to leak this story. Mr Johnson’s aides declined to discuss his position yesterday, insisting his joint statement with his wife was all he intended to say on the matter. But friends spoke out following a series of reported allegations from Tory sources. 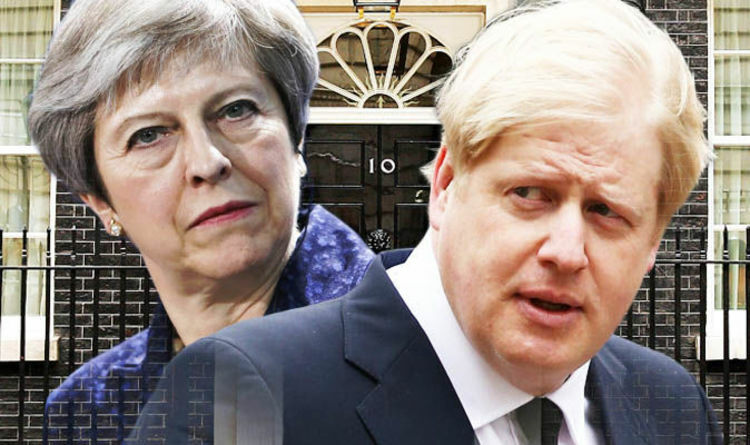 Another source, said to be a confidante of the former Cabinet minister, was reported as saying: “I believe it is in Boris’s interests to get this news out there now so it is not used by his enemies in the height of a leadership contest. “It has all the hallmarks of an attempt to clear the decks. His marital problems have never been a secret. Tory MP Nadine Dorries, a long-standing supporter of Mr Johnson, yesterday insisted he had the charisma to lead the party and should replace Mrs May. In an interview on LBC Radio, the backbencher said: “What he does have is this kind of stardust with the public. She added: “I’ve seen it so many times. I’m impressed by how he relates to people and how people like him. “He has the proven track record of achievement, that is the number one criteria in a leader but he also has this likablilty and people support him. “He’s way ahead of any other Conservative MP or potential candidate to lead the party and that’s because people find him engaging, and enigmatic and flawed.